While most home water heaters have a relatively long lifespan, they are not designed to last forever. When the time comes for water heater replacement, turn to the trusted technicians at Definitive! With over 25 years of plumbing experience, we are well-equipped to handle all of your water heater needs, including complete unit replacement. We proudly offer next day and same day installation*, as well as service warranties on both parts and labor. Dealing with a broken or malfunctioning water heater is frustrating and stressful—let us help you find a quick, reliable solution that you can depend on. 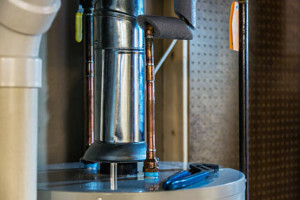 When is Water Heater Replacement Necessary? 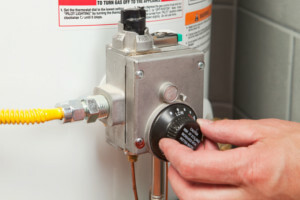 Many water heater problems can be solved with professional repairs. However, it’s important to know when repairs are possible or if you need water heater replacement as this can ultimately save you time, money, and stress. AGE – Is your tank water heater more than 10 years old? It might be time to start considering replacement, especially for units that have not been maintained. 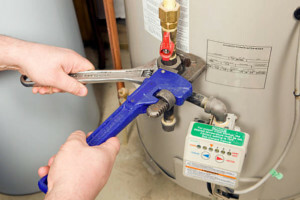 FREQUENT REPAIRS – Has your water heater recently required frequent, costly, or repeated repairs? Constant breakdowns might be a sign that it’s time for a new unit. LACK OF HOT WATER – If you find that your home is frequently without hot water, or that the water coming from faucets is lukewarm at best, water heater replacement might be needed. LEAKING TANK – If your water heater’s tank has an obvious leak, it’s time for a replacement. Leaks are typically caused by internal issues and are rarely repairable. SEDIMENT BUILDUP – Sediment buildup in the tank of your water heater can lead to a number of problems. While these and other signs can indicate a need for water heater replacement, you may still be uncertain whether or not repairs are possible. Our Definitive technicians can offer honest advice and make professional recommendations based on their extensive expertise. At Definitive, we’re committed to our customers’ complete satisfaction. We offer unparalleled workmanship on all our water heater replacement services coupled with outstanding customer service. Our friendly, uniformed technicians arrive on-time, every time, and we proudly offer upfront pricing in writing so you’re never surprised with hidden costs or fees. No matter your water heater service needs, our experts are ready to get the job done!